This city hotel offers simple and convenient accommodation options, which will be perfect for the young travellers visiting Patong. Sitting in an area filled with a variety of shopping, dining and nightlife entertainment opportunities, it can offer them plenty do to and see. The beach is less than a 10-minute drive away, but thanks to the shuttle service they will be there in no time. The Bangla Boxing Stadium and Junceylon shopping centre are just a 5-minute walk away and those who want to experience the famous Bangla Road nightlife will be just a 10-minute walk from it. Guests who want to taste the authentic local cuisine won't have to leave the hotel since the onsite restaurant serves a selection of Thai Food, sandwiches, salads, pasta and other western dishes. This property is 9 minutes walk from the beach. Located just 300 m from Patong Boxing Stadium, Beds Patong Hotel provides modern accommodation with free WiFi access in all areas. The property also offers free bicycles and luggage storage service.Beds Patong Hotel is 700 m from Jungceylon Shopping Center and 900 m from Bangla Road. Phuket International Airport is 24 km away.Each air-conditioned room comes with a flat-screen cable TV, a closet and a fridge. Its en suite bathroom features shower facilities and towels.At Beds Patong Hotel, guests will find free daily maid service. Airport shuttle and a laundry service can be arranged upon request. This apartment hotel is situated by one of the quietest places on Phuket's most popular beach, Patong. 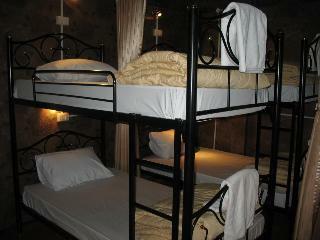 It is 500 m from the beach and lies close to restaurants, nightspots and shopping facilities. 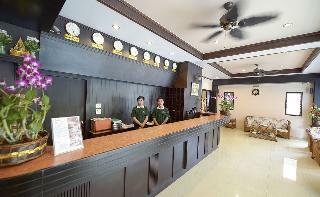 Phuket International Airport is some 32 km from the accommodation.The establishment comprises 16 attractively furnished rooms and apartments, designed to give guests complete comfort and relaxation. Facilities at the apartment hotel include a lobby with 24-hour reception and check-out service and a hotel safe. There is an on-site café and a laundry and dry cleaning service is provided. Guests arriving by car can leave their vehicles in the car park.The hotel features both guest rooms and apartments. All of the accommodation comes with attractive furnishings and has been appointed to ensure complete comfort and relaxation. Each room comes with colour satellite TV, kitchenette, minibar/fridge, direct dial telephone and individually regulated air conditioning units. The en suite bathrooms come with a shower, toiletries and running hot water. The rooms and apartments also feature a balcony or terrace.Guests looking to play a round of golf can head to Phuket Country golf course, just a 10-minute drive from the accommodation.The hotel provides breakfast, lunch and dinner.The accommodation is a 35-minute drive from Phuket International Airport or 40 km away. 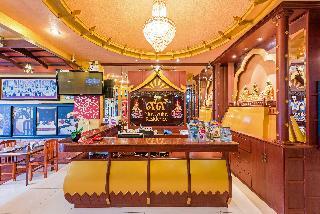 The hotel is superbly located on the southern area, around 15 minutes' walk from Patong Beach. It is not far from Kata beach and Karon road. In the area guests will find a variety of restaurants and bars where to enjoy and relax surrounded by a lively atmosphere. 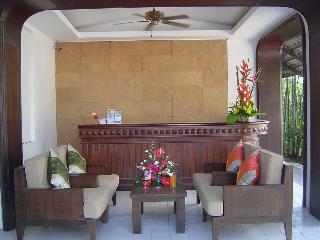 The hotel features comfortable rooms with standard facilities to ensure a pleasant and relaxed stay. 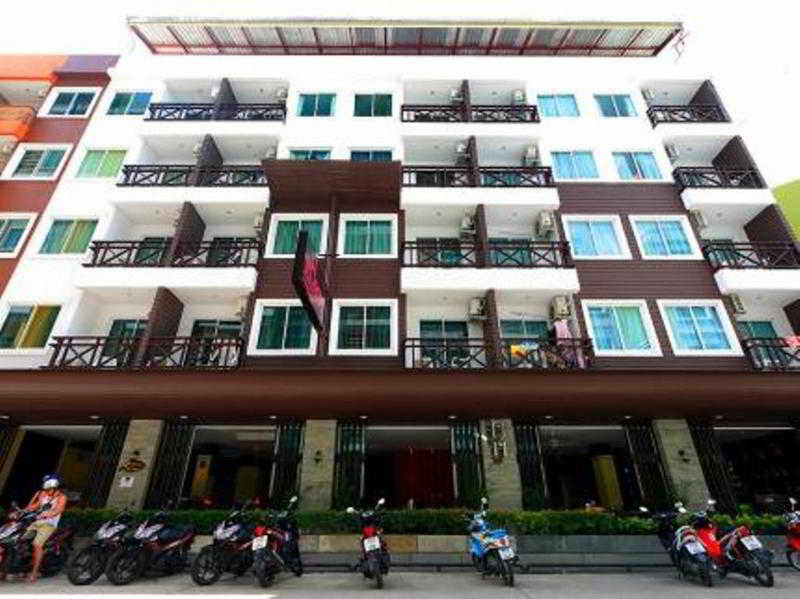 99 Residence Patong is a short stroll from many dining and nightlife options. It offers charming rooms with Lanna artworks and private balconies, and free WiFi.The elegant Thai-style rooms feature spacious interiors and teak wood decorations. They have air conditioning, en-suite bathrooms with hot shower and a work desk. All rooms on the seven-floor building are accessible by a lift.The restaurant serves breakfast, lunch and dinner.99 Residence Patong is a 5-minute walk from Jungceylon Shopping Mall and 20-minutes away from Bangla Road. It provides a chargeable shuttle service to Phuket International Airport, located a 45-minute drive away. 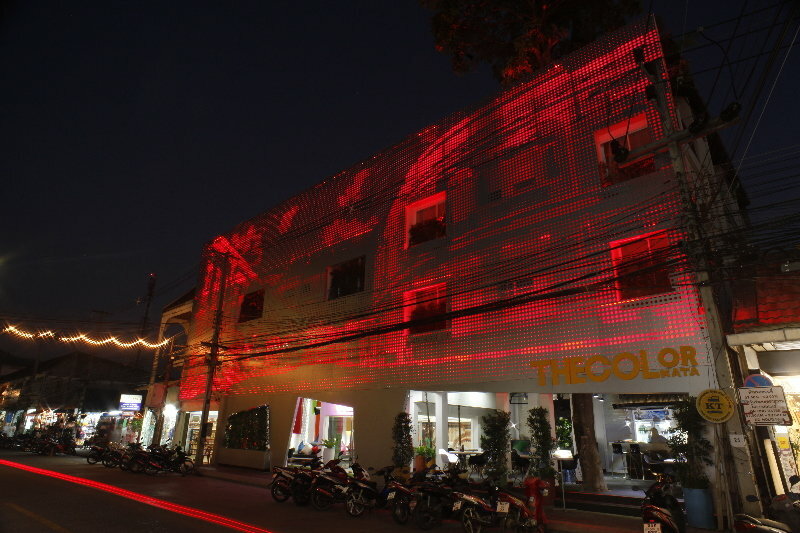 A modern boutique hotel on Mae Luan Road in Phuket City. This hotel has a great location just 45 minutes from Phuket international airport and close to the main shopping malls in Phuket, including Big C, Tesco Lotus, Central Festival Phuket and Index Living Mall. Guests can also easily walk to many of the local attractions such as Thalang Road, Soi Romannee, old town Phuket and many of the Chinese temples in the city. The hotel offers private rooms with en-suite toilets, hot water showers, air conditioning, international TV, minibar and a balcony. There are also mixed and female only dormitories that are air-conditioned, and have privacy curtains and lockers and a comfortable, relaxing community lounge with beanbags, kitchen with refrigerator, and international television. 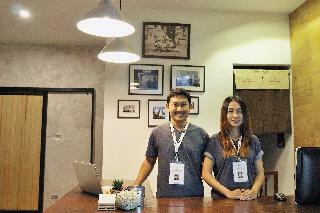 A trendy hotel great for tourists and backpackers wanting to explore the area.